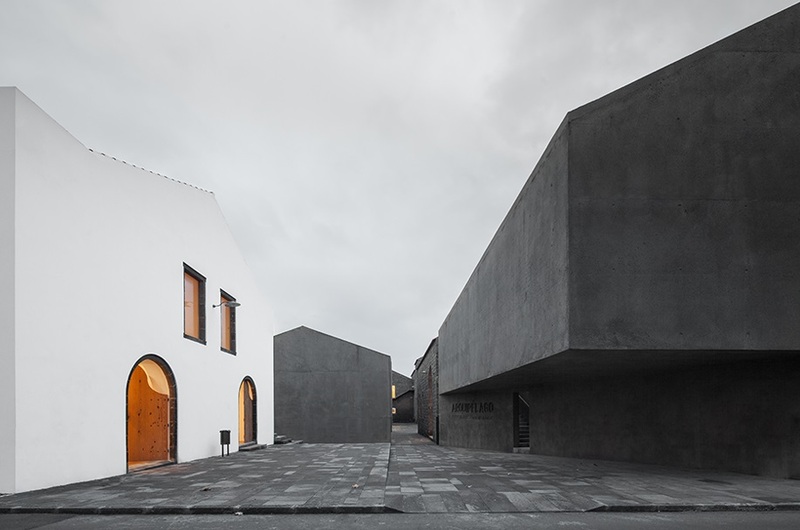 Arquipelago Contemporary Arts Centre is located in The Azores, an archipelago of nine small islands in the middle of the Atlantic Ocean. 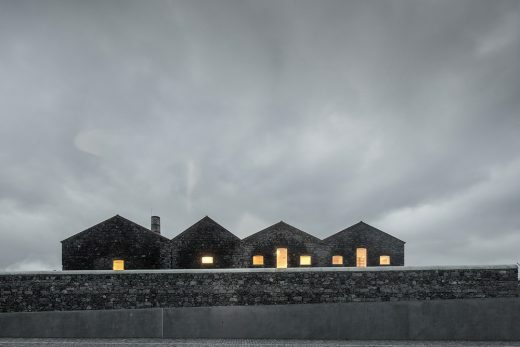 Restoring the site of an 1890s sweet potato distillery, the building expertly combines restoration, reconstruction and new build, drawing on the history of the building and its distinctive black Basalt exterior to create a restrained, industrial character. 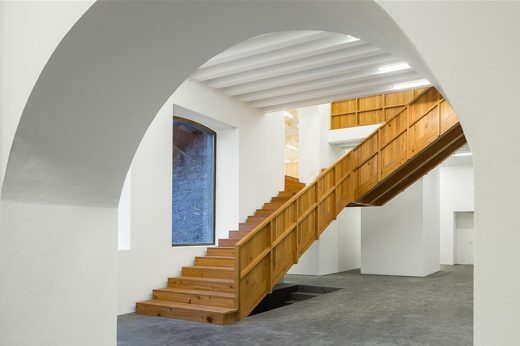 Constructed over the course of three years, the process revealed a complex of cloisters and cells in the basement of the old distillery, which have been transformed to display artwork – an ancient backdrop for very contemporary use. The building has become a beacon for progress both locally and internationally, and has made a substantial impact on the local community – showing respect for its past and ambition for the future. 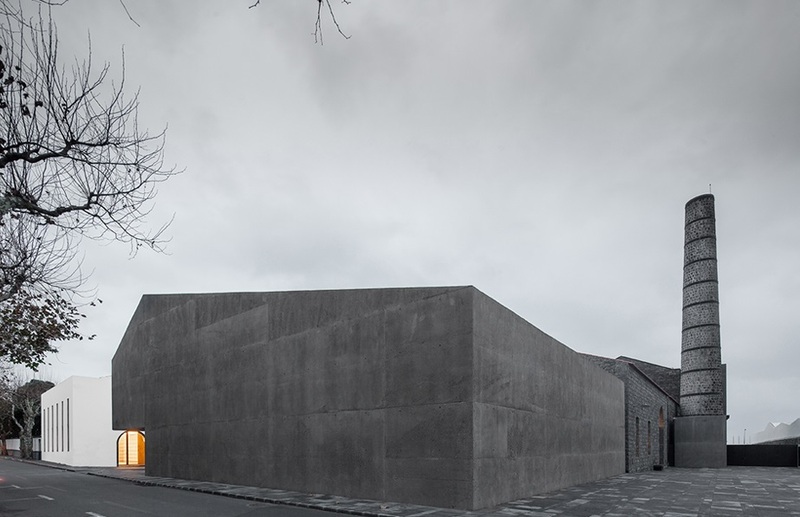 The new arts centre is set within an existing Basalt walled enclosure and is conceived as a ‘city within a city’. The architect designed with a limited palette of materials to retain a robust industrial character for the centre and to highlight the relationship between existing and new buildings. Discrete and carved new buildings are place to form the street entrance and the primary access, via a courtyard. 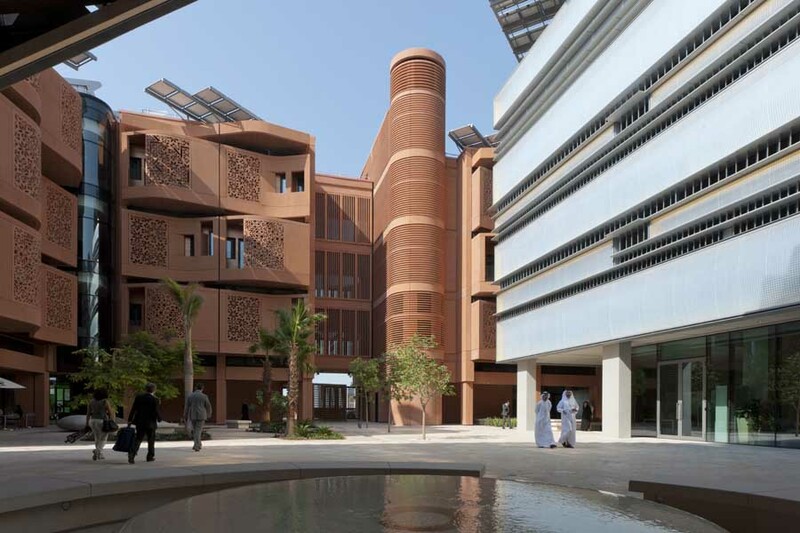 The new buildings are built of in-situ concrete with Basalt aggregate and black pigment, cast on smooth shutters with a retardant, producing a textured finish. That stands in contrast and sympathy with the existing walls of dressed Basalt. The stone façades are a palimpsest of change. Opening in the existing buildings are formed by structural stone arches or lintels of dressed Basalt with a gently curved profile. The new doors, windows and balustrades are all brass, which is gently weathering. 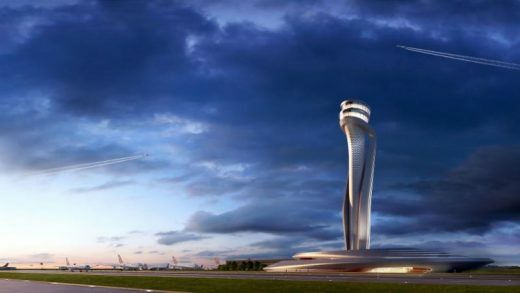 The economy of means used in the project, was illustrated by the architect’s keenness for this not to be confused with bronze. The windows are frameless – less is more. Some buildings of the old distillery were beyond repair and the stone façades were dissembled and rebuilt. This is subtly declared by internal wall of dark grey concrete. The plan is direct and logical, yet a rich set spaces are progressively unveiled as a visitor moves through the arts centre. The design works well on an urban scale, demonstrates skill in placement of programme, clarity in the servicing strategy and a carefully selected palette of materials. The design combines persistent and progress, tradition and change. The Royal Institute of British Architects (RIBA) International Prize 2016 winner will be announced on Thursday 24 November 2016. The prize will be judged by a grand jury of experts chaired by world-renowned architect, Lord Richard Rogers of Riverside. 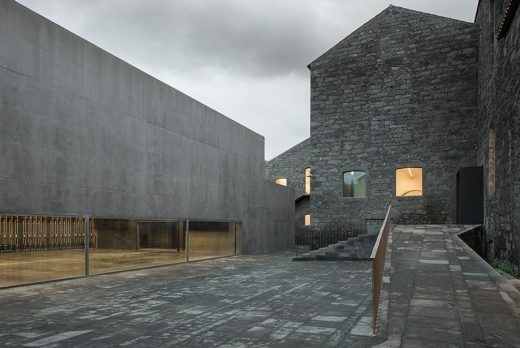 Restoring the site of an 1890s sweet potato distillery, Arquipelago Contemporary Arts Centre expertly combines restoration, reconstruction and new build, drawing on the history of the building and its distinctive black Basalt exterior to create a restrained, industrial character. Protected from the sea by a slope, the building is going to occupy a plot comprised of a flat, rectangular platform already prepared and used by the Municipal Council for other outdoor sports activities.